Chennai experienced one of its hardest time last week as it suffered severe flooding of rain water due to the torrential rains. Like sunshine in darkness, many big hearts initiated relief operations for their people. 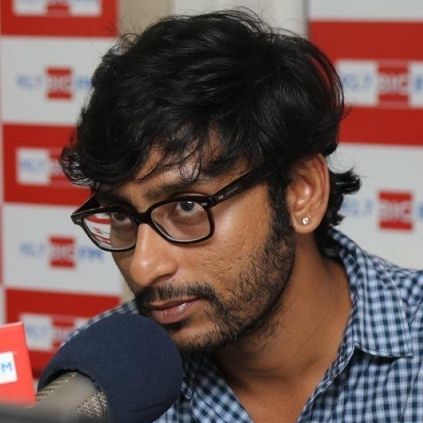 One such prominent name is RJ Balaji, who along with actor Siddharth, singer Chinmayi and few other industry names handled a relief operation with a lot of calmness and bravery. After working round the clock since the past couple of days, RJ Balaji has addressed on his next action plan through a video that he posted on his official FB page yesterday, 6th December. This indeed is an appreciable step that RJ Balaji has taken. What this flood has shown the world is “The Power of Humanity” as we hear that the number of volunteers were more than the number of victims in Chennai. Few Tips To Handle The Crisis Caused Due To Chennai Rains. Hansika Was Caught Badly In Chennai Rains But Boldly Decided To Walk Ahead! People looking for online information on Chennai floods, Chennai rains, RJ Balaji will find this news story useful.